插圖素材: Sample food at each meal. Meals of people. Sample food at each meal. 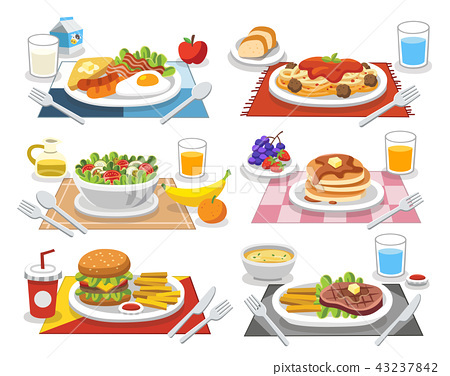 Meals of people who should eat in a day. Ideas for creating a nutritional description for daily food.